This episode was so inspiring- after Elena received the help she desperately needed. Candy was so right. Elena IS worth it! 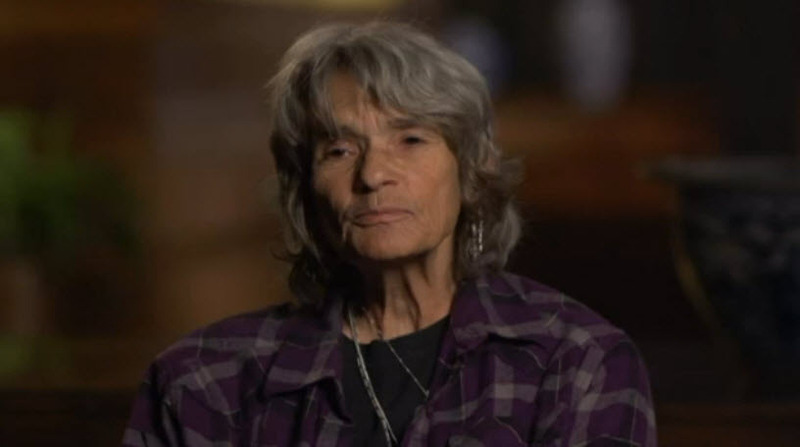 Even though she had to hide her sexuality for part of her life, this grandmother had a good family (beautiful grandchildren) that really did care for her and were so scared and wanted nothing more than for her to get better. I just can’t believe how gnarly this poor lady was at the height of her addiction! 63 years old snorting $20 bag of meth in 15 mins!!! Holy moly! Just.. How?!?? So inspiring to see the follow up and how much she turned around and improved. Elena is so worth it if anything to continue being a part of the loving family she helped create. Woo Hoo! I totally agree. Elena is an awesome lady and yes, totally worth it. So glad she got sober. Being an addict doesn’t mean one is amoral or obnoxious or unpleasant or vain or selfish (ok maybe that one), but it also doesn’t mean an addict *doesn’t* have one or more of these traits. (In other words, addicts can still be asses.) And to me, this isn’t calling those addicts on their BS so much as it its recognizing and appreciating some of the individuals profiled whose positive traits and unique personality shone through the all the chaos and self-destruction inherent to addiction. These people face incredible demons on a daily basis but still manage to retain their core humanity. One bright spot of the show is how many of the addicts are still able to exhibit kindness, humor, honesty, creativity etc, and I think thats what Dizzy is intent is here – to highlight those bright spots. Want to read more of her. My grandmother was more likely the same as her. My grandmother was a lesbian too but still she was the best grandma in the world for me. She died two years ago of pneumonia. I want her to write a memoir. I’d read it. Do it. I am so happy they treated a woman who was not in her 20’s or 30’s. Women and men in their 60s and 70’s and 80’s are worth saving too. More seniors commit suicide than any other age group, yet we only hear about young people. Although this episode first aired in 2012, I saw rerun today 9/24/14 Does Elena know her birth mother? It mentioned she was adopted and from Ca. Which my family is too. She resembles my deceased grandmother remarkably and so my uncle! I called my mom to put it on and she said shed seen that episode before and thought the same exact thing. My grandmother was a young mother with four children and struggled tremendously. . I watch the show all the time I’m glad to read all the positive things. I have a brother that has an addition to vodka and prescription meds and has spiraled out of control and I’m at my wits end. Wish I had help for him. OMG did Candy give anybody else goosebumps talking to Elena during the intervention?? Love that lady. I love Candy so much, especially when she gets real/emotional with the addicts. You can tell she just truly wants to help because she knows the pain. She is an inspiration! Candy is such a powerful interventionist. She can connect so deeply to people. Elena’s story was so heart-wrenching, especially when she was with her granddaughter, Sarah. I’m so happy to hear that she is doing well. She was too feisty to ever give up and she inspires me with her courage. Keep on fighting the good fight, Elena! This was such an amazing story and truly inspiring. I am so happy for her! I really feel that she will stay on the right track! Unfortunate Elana is not going to want to hear this but conservative religious people are intolerant and judgemental regarding this guy they find against what they interpret the bible teachings. I know a lot of people of the same ilk are going to comment and tell me how wrong I am but just look at what lead up to her addiction. Her sexuality, and I’m sure a lot of other family matters.. Acceptance and love no matter what your child’s preference is to sexuality is key to a happy healthy relationship. Nobody knows if she would have done this on her own regardless but I’m sorry you cannot convince me that it had nothing to do with it. I hope Elana found happiness in Who she is no matter who she chooses to be with.. Always keep an open mind and love your children no matter what their sexual preferences are.. This is one ex-addict who truly seems to have beaten her addiction. I haven’t seen any Intervention subject embrace sobriety this much. Maybe we’ll be seeing her doing interventions someday! LOVE Elena. She might be my favorite episode of Intervention ever. Favorite moment: when she walked into her intervention, realized what was going on, got angry but paused her anger long enough to say to Candy “I know who you are, and you’re really good!” That moment really summed up Elena for me. LOVE her, and am so happy she’s doing well! I just watched the episode, I was wondering was the daughter addicted to drugs too? She mentioned that both she and Sarah would be going to the Betty Ford Clinic. No, the daughter and Sarah went to the Betty Ford Family Program. However, Sarah was the subject of a later intervention (Episode 182, SarahP – listed here as one of “The Most in Denial”), also lead by Candy. BTW, I see Elena around at 12 step meetings from time to time and she’s every bit as fantastic as she seems. That is just awesome…she seems like such a lovely person. That’s wonderful to hear! Hope she’s still doing well. Great to hear. I just watched the episode. I just had to know how she was doing. So glad it’s a happy ending. Did she get to keep her little dog? She seemed to care so much for the dog, even in her addiction. I think she might be my favorite Intervention person ever. What a neat little lady! I just saw this intervention last night… I so pray that Elena is making wonderful progress in her recovery.. She truly touched my heart… You are so worth a Blessed Life Elena…. Such an amazing episode! Elana spirit is contagious! This was a great episode. Definitely one of the most charming meth addicts on the show. I, too, hope Elena is doing great. Hope her little dog is still with her.